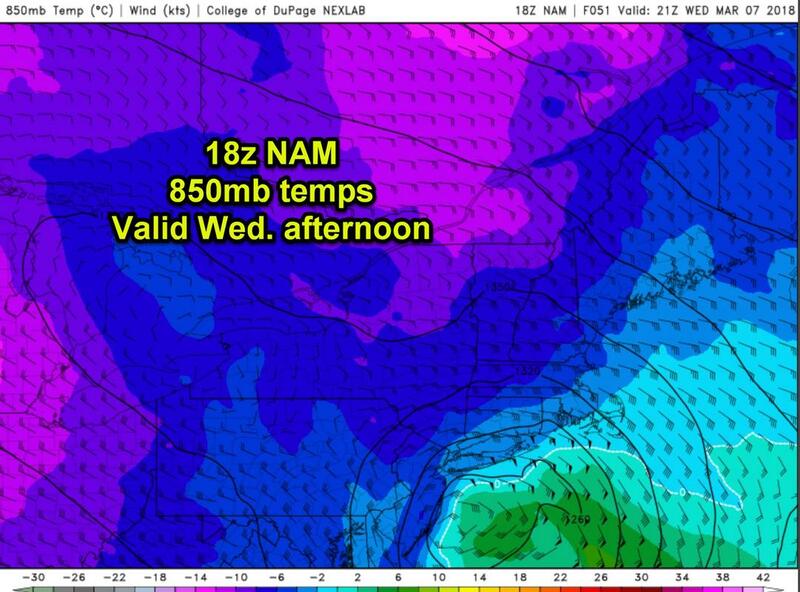 The GFS is not following these steps - so - it introduces warm air advection and keeps mixing a concern for immediate coast. 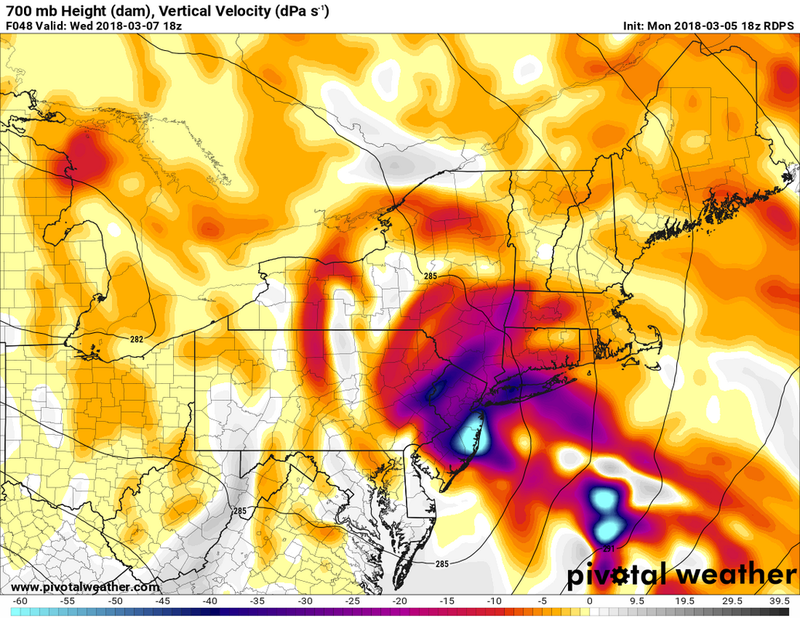 The RGEM is in the NAM/EURO camp (GFS mainly on its own) but has some of the most impressive H7 VV's I've seen. This would be 3-4" per hour rates. This may be on the high-end at this juncture, but I am feeling confident and truly like the evolution of this storm. I will adjust tomorrow if necessary. 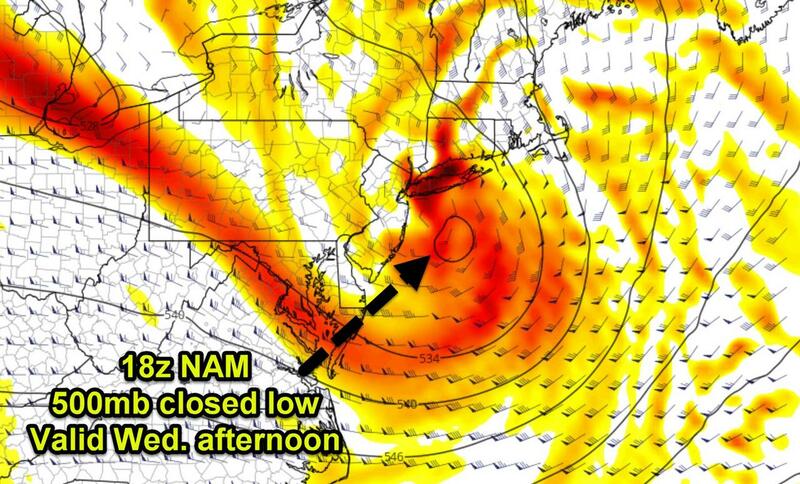 8:45pm chat tonight for 00z NAM! Hope to see you all there. Thank you Frank. I just want to say your insights (as well as others on this board) have been absolutely critical to me over the past 72 hours. I have a generator currently running which is powering a few space heaters in my house as well as my internet and cable. SO I should be able to stay with you guys on this one. No power expected back until Wednesday but now I'm seeing a 12-16 inch snowfall potential up here in Hopatcong....can't believe I'm saying this but I'm kind of hoping that we somehow miss out on the heaviest totals up here. This area is really suffering right now. It looks like we are right on the line of 6-10 or 10-14+.... not good either way as our infrastructure up here is already extremely damaged. sweet do u see b word potential here for the coast or those are gusts? I agree and likey your map. Of course if you need to up totals please do so lol. If we do get rates of 3 to 4 per hr then I can see the above 14 verifying where those vv setup. My accuwx says 63 mph winds wed night. Ya no I highly doubt that. Anyone recommend a better app? Their radar half time is blank too. 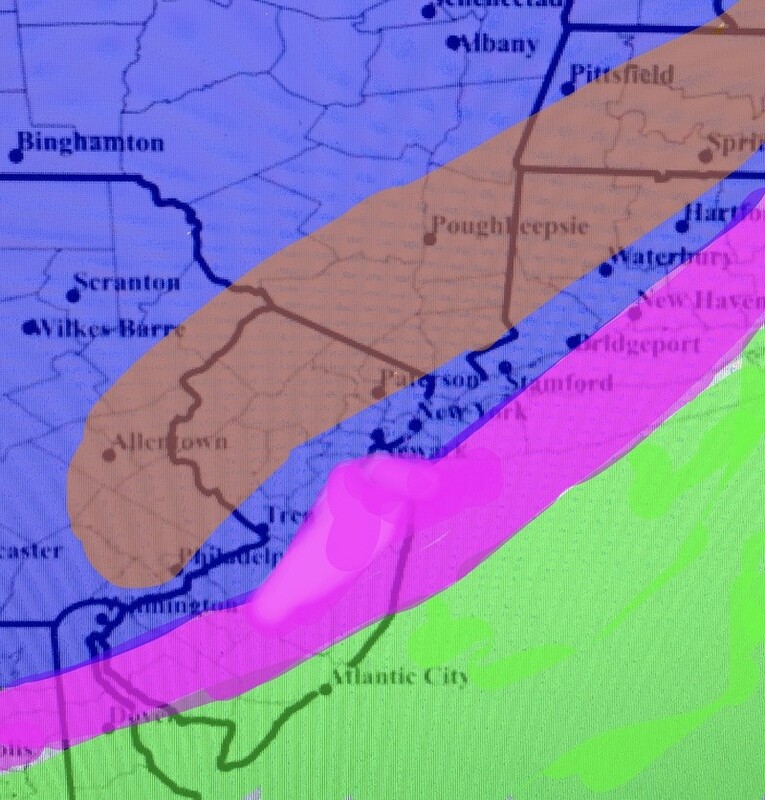 Good snowfall map Frank. With all the traffic in the Atlantic, I'm hoping the storm gets held up more then what the models currently show now once it reaches our latitude. 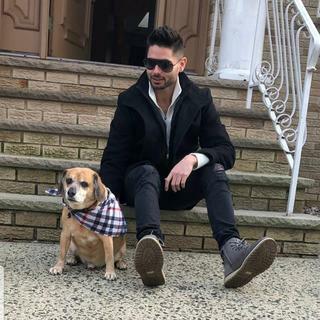 Great job Frank! We will have a blast on Wednesday on the board.Really looking forward to it! I'll be on from beginning to end. LET IT BE KNOWN, KIDS! I was emboldened by Syos to give this a try with limited art skills. Pardon some of the imperfections but you'll get the point. Great minds think alike. Nice map Bill. 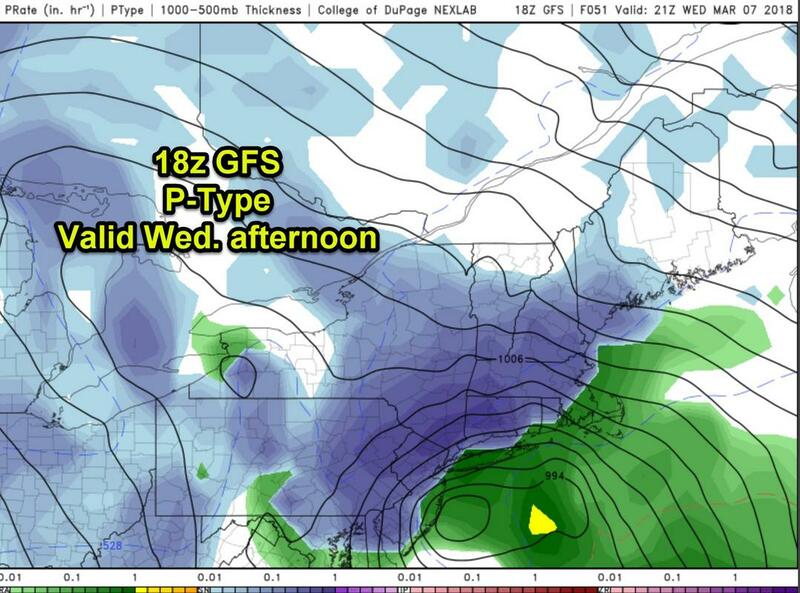 Yours is a nice blend of the GFS/NAM/EURO whereas with mine I am basically completely tossing the GFS. SoulSingMG wrote: LET IT BE KNOWN, KIDS! Frank_Wx wrote: Great minds think alike. Nice map Bill. Thanks Frank. Man that gave me an appreciation for what you guys go through creating those maps. 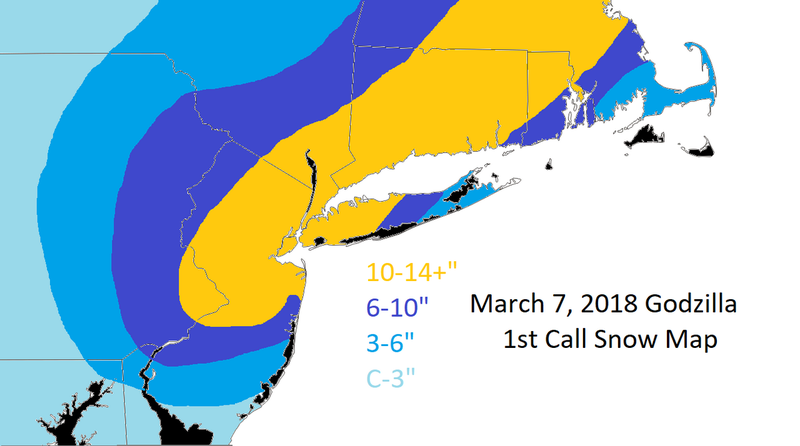 Yeah, I hedged a bit because I wanted to account for the GFS which is a little closer to the coast. That may be a mistake. We'll see. lol. Well syos, I have you in a better spot than I have sroc. Would love a Cliffs Notes version of the chat once it wraps up. NAM coming in HOT again! 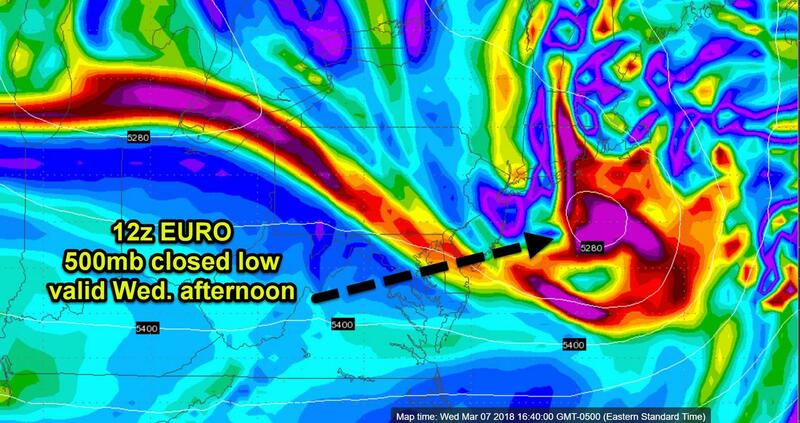 If 3km verifies winds are go be a major issue again especially with this time windespeard big snow amounts.